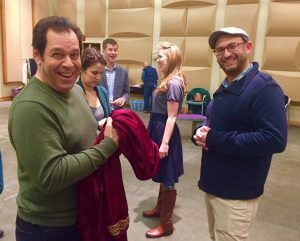 Anchorage Opera is opening its season with the comic opera Don Pasquale by Gaetano Donizetti with lyrics by Giovanni Ruffini and Donizetti, a story that’s full of love, disguise, trickery and a lot of fun. Join Philip Cokorinos, who plays the title character, David Lefkowich (Stage Director) and AO’s General Director Reed Smith this week on Stage Talk to hear all about it. Don Pasquale runs November 3-5 in the Discovery Theatre in the Alaska Center for the Performing Arts. ORIGINAL BROADCAST: Friday, October 27 at 2:45 p.m.